12" heavy duty grease gun hose with 1/8" NPTF threads. (For air, battery, or hand operated guns). 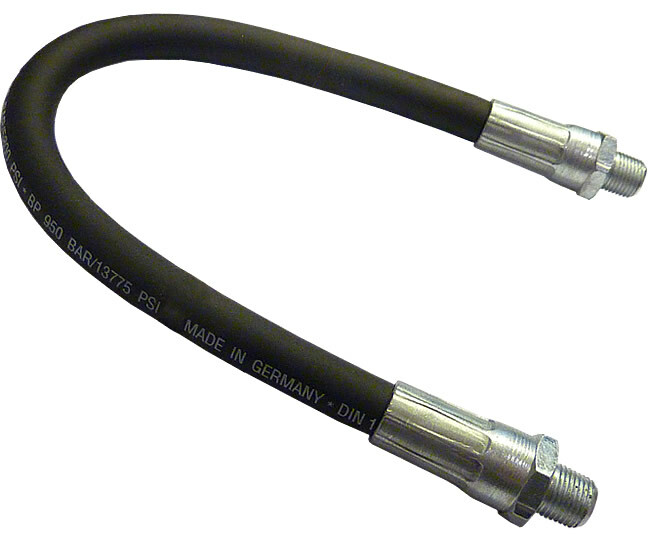 Heavy duty hoses are made from polyamide with polyurethane sheathing, reinforced in tear resistant polyester. Hoses ends are heavy duty Zinc plated steel. Made in The USA. Working Pressure = 5,800 PSI. Burst Pressure = 13,775 PSI.